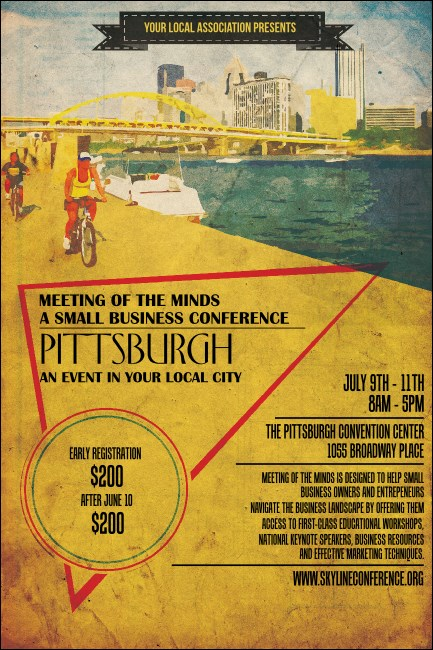 Get to the source of great advertising when you promote your next event near the source of the Ohio in advance and print Pittsburgh Posters. These Posters feature an incredible likeness of The Burgh’s downtown skyline framed by the Fort Pitt Bridge and bike riders on Heritage Trail. TicketPrinting.com helps you find the best advertising in the Alleghenies.